The slab car was a direct influence by the superfly era of the mid to late 70s. The culture was born in the 80s through Houston hip hop. Slab cars can be seen on any street or freeway and are easily recognized by their candy paint, lush interiors, and the must have Texan Wire Wheels ’83s® or ’84s® Elbow® “wire wheels” known as Swangas®. 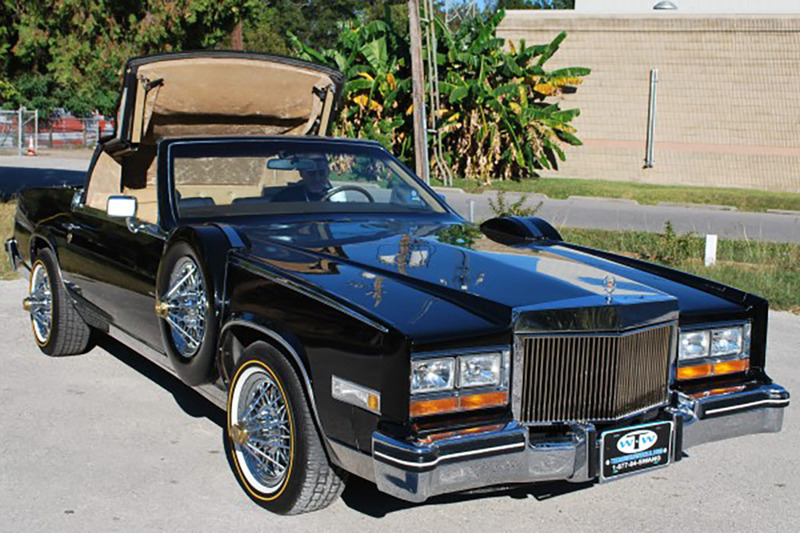 Known for reinventing the ’84s Swangas with the 30 Spoke Elbow® style, Texan Wire Wheels is attributed to reigniting the slab culture and is the wire wheel rim of choice for music artists, professional athletes, and celebrities.Swangas® are a must-have to an authentic slab. You don’t have to own a slab to appreciate the culture. For everyone around the world, we are bringing the slab culture to you —- right here on slabculture.com. 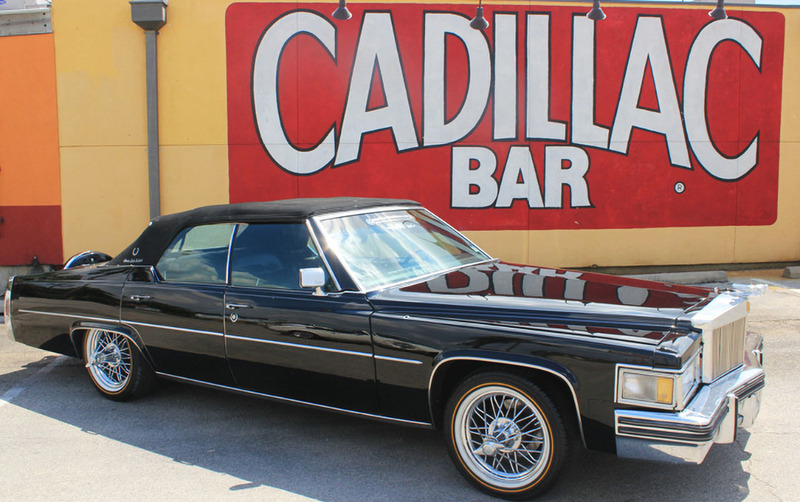 Southside Texas started the movement in the 1970s with Elbow Wire Wheels on Cadillacs. Slabs are custom made from other American luxury cars such as Cadillacs, Buicks, Oldsmobiles, Lincolns, Panthers, and Chryslers, due to their size. The slab culture is known for Swangas; the unusual 30 Spoke Elbow Wire Wheel. A “slab” in Houston means your vehicle sits low to the pavement. Texan Wire Wheels is the new manufacturer of the ’83s and ’84s 30 Spoke Wire Wheels. This brings joy and happiness to all slab riders in Houston and around the world. Houstonian Langston Collins Wilkins, PhD is founder of Houston Slab Parade & Family Festival. The 2013 inaugural event brought over 4,000 people, from all walks of life. Anthony Bourdain, host of the popular CNN travel food show, Parts Unknown, filmed parts of the Houston Slab Culture segment in Houston on June 10, 2016 with Houston music artist Slim Thug. Our hope is to enlighten people about the Slab – it’s an urban art form. It’s about hard-working people, both men and women who like to invest extra money in their cars. Typically includes Cadillacs, Buicks, Oldsmobiles, Lincolns, and Chryslers. Nowadays, slabs include newer model vehicles as well. The must-have audacious, unique ’83s or ’84s Texan Wire Wheels 30 Spoke rims also known as Swangas. A respectable stereo system. It’s not uncommon for slabs to have multiple batteries and amplifiers pushing boxes filled with woofers. A fifth wheel mounted on the back and/or top of the truck depicting custom jewelry. A slab is a style or class of customized vehicle. Distinct from a regular vehicle, these customized cars and trucks generally individually painted with the colors of Kool-Aid, a fake fifth wheel mounted on back like car jewelry, poke wheel rims that look like medieval wealth protruding far past the car’s body, ridden on Texan Wire Wheels ’83s or ’84s 30 Spoke Wire Wheels and with or without whitewall tires, fitted with a rumbling stereo system that uses more space than the trunk actually has. Given the specific characteristics, a slab in Houston refers to the vehicle being low to the pavement — their style was born in Houston. The term slab rider refers to the driver of the vehicle.